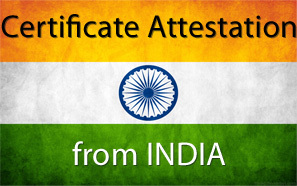 Certificate Attestation from INDIA,U.K, U.S.A, Canada & Australia UAE is a non-member of the Hague Convention. Hence, all overseas documents educational or non-educational like marriage certificates, birth & death certificate, transfer certificate of children from school, etc. must be legalized through attestation. UAE accepts the attestation done by their Embassy in New Delhi and Consulate in Mumbai, provided the documents are first attested by Consular Section of Ministry of External Affairs, Government of India. For UK documents, first these documents must be notarised by a solicitor and then by the Foreign & Commonwealth Officer (FCO). The final port of call is the legalisation department of UAE Embassy. Similar is the situation for American, Canadian and Australian documents. This process is long and tiresome. Ramadan Global can help getting the Indian, British, American and Australian documents attested within a very short span of time. Police Clearance Certificate can also be attested through Ramadan Global.